We offer oral surgery services such as bone grafting and sinus lifts for our Sydney River patients. Our dentists will let you know if you require oral surgery when you visit our Sydney River dentist office. Our dentists may recommend bone grafting to a Sydney River patient missing teeth for a prolonged period of time to prevent your jaw bone from receding or decaying. In most severe cases, this means we are unable to place dental implants. Performing a bone graft first will allow us to successfully place dental implants and restore your smile. Sinus lifts are performed for patients who require extra bone to be added to the upper jaws in the molar and premolar areas. A sinus lift is a surgical procedure to replace lost bone in the upper jaw, usually by the molars. You might need a sinus lift if you have experienced, bone loss, through periodontal (gum) disease, long term tooth loss, or aging. If your tooth becomes damaged or infected, it may need to be removed. At Riverside Dental in Sydney River, our dentists perform extractions to help correct issues with your smile and oral health. Our dentists will let you know if you require a tooth extraction during your appointment. 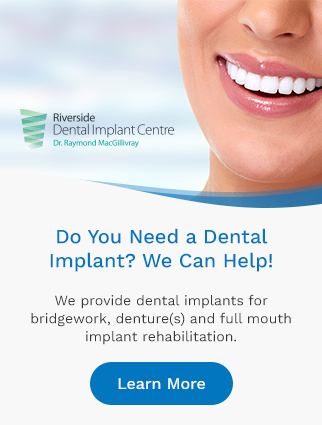 To learn more about your oral surgery options at Riverside Dental in Sydney River, please contact our office. We'd be glad to answer any questions you may have!